My favorite song off the album, which is quite something because it's an album of perfection. Multiple listens later I still absolutely adore it, glued to my playlist forever. I am a massive fan of songs that contain multiple genres and start out one way, and end up somewhere entirely different. It shows the versatility in the Artist and Producers behind them. 'Solutions' starts off as a moody ballad, goes up in the chorus and the end is just fabulous and pleasing on the ears. Strangely enough what makes this song so good is probably the backing beats and vocals. It just takes the song to another level. I have featured Vérité on the 5 Picks before, very much hoping that her album would sound as good as the singles suggested, and it has completely surpassed expectations, which I'm extremely thankful for. 'Somewhere Between' is available to buy and stream now. You should totally take up one or both of those options. Another faultless song. Has a minor sample in the beginning which I can't quite place but I love this. Yes there are undertones of those EDM beats I will forever detest, but Gabrielle Aplin is doing something different with them. Compared to some of her previous offerings this song also goes somewhere, with good enough lyrics, and you can basically enjoy dancing the day away with this old number. Gabrielle Aplin is an English singer/songwriter and the EP 'Avalon' will be released on the 15th September. In order to do these picks, I have to listen to a lot of music. Confession time; It's not always great. Like 70% of the time it is terrible and my ears hate me for subjecting them to such horrors. But amidst all of that? I come across some true gems and XYLØ is one of them. In order to fully understand this video you have to have watched Alive. Choosing which out of these 2 songs to feature here was extremely tricky. They're both excellent songs and videos in their own rights, but again, I can only have one and this video is just so clever. It takes you out of the box, makes you think and the video really fits with the lyrics which I love. It's truly an impressive piece of work, and the hand-held footage gives me flashbacks to 90's videos which is never a bad thing. XYLØ are an American electronic music duo. I am under orders to keep this strictly professional and not fan-girl too much. That's an extremely hard ask but I am nothing if not a trier. Aly & AJ are back people! And this song is completely and utterly awesome. I have had 3 tracks on repeat on Spotify since Friday and this is one of them. It has been a very long 10 years since Aly & AJ last released music, but this song is totally worth it. 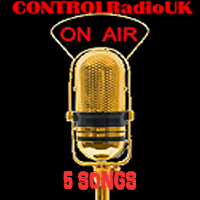 Has a nice 80's vibe to it which the rest of CONTROLRadioUK HQ love, and when we're all loving a song together? It's basically Christmas come early. A lot of the time when Artists take a break from music and come out with a new sound, it can seem fake and as though they're simply doing it to keep up with the trend. Not here. 'Take Me' is a natural progression from their previous music. In a way it's like 'Tears on the Dancefloor' from Steps - has a fresh enough sound to bring in new fans, but still has that Aly & AJ vibe to it that old fans can dig into. The 2nd song that has been on repeat. Why this is not officially available on Youtube yet I do not know. Considering these fan videos are getting over a million views? Seems a little silly. Over the years Little Mix have grown on me. However what I love about this song is the natural mix of the languages and the music. Compared to some of the duets they've done which have felt very much tagged on for publicity, this duet feels natural and I completely dig it. I've listened to the original version of this and whilst it is good, this remix takes it to a whole other level. CNCO are a Latin American boy band and Little Mix are of course a British girl group.